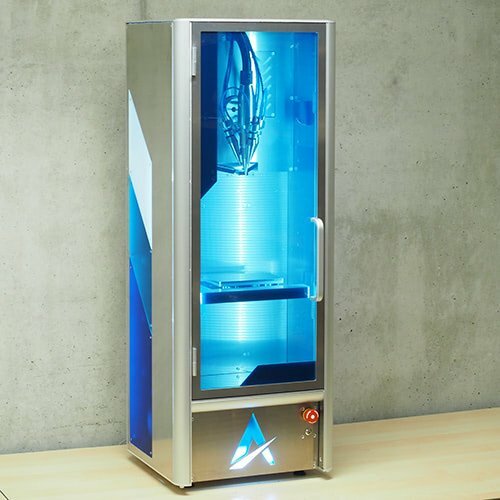 Additec μPrinter is a metal 3D printer with a small footprint. Its Laser Metal Deposition (LMD) technology refers to a welding process where a material is introduced into a meltpool, created by a high power laser. The μPrinter can print both wire and-or powder feedstock.